At Wildtones we are serious about bird and wildlife conservation and research, and hope that the bird and wildlife calls on your phone can be a reminder of what the natural world means to you, and prompt you to take action to ensure we continue to have the inspiring songs and calls of nature as part of our lives. And, we also encourage you to get outside and take someone – especially children and young people – with you! There is nothing which gets people interested in conservation more than seeing birds and wildlife first hand. Deborah Rivel is the founder and owner of Wildtones. She is an award-winning independent wildlife film producer/director who has been interested in birds and wildlife, and their conservation most of her life. Since 2004, she has been creating nature-focused products, including the first Peterson Field Guides apps for iPhone and ringtones for mobile devices via her company Wildtones.com. Raised in New Jersey, she is a longtime resident of NYC and also near birding hotspot, Cape May, New Jersey. 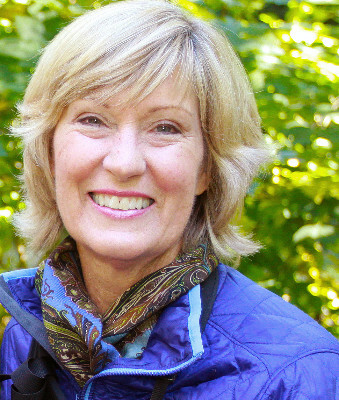 Deb is a board member of Audubon New York and Dr. Irene Pepperberg’s avian cognition research project, The Alex Foundation, a member of the BirdLife Advisory Group, and is active in other conservation organizations. An avid bird photographer who regularly explores the wilds of NYC and the New Jersey beaches for subjects, she has traveled to six continents in search of birds. Wildtones and Birdtones are both marks of Wildsight Productions, Inc.